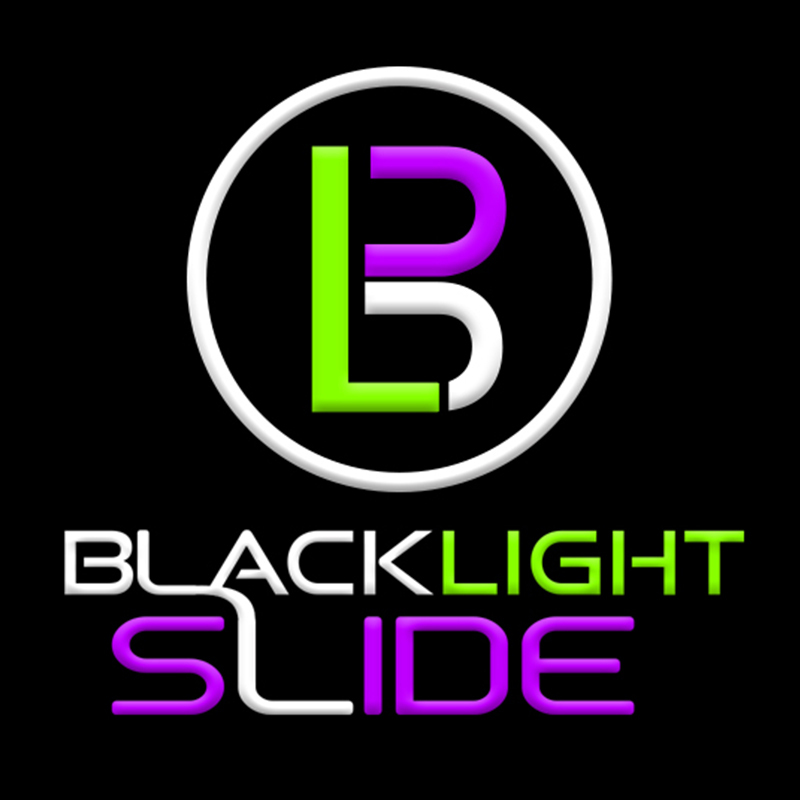 Blacklight Slide™ is a unique night experience focused on UV Neon Glowing fun! 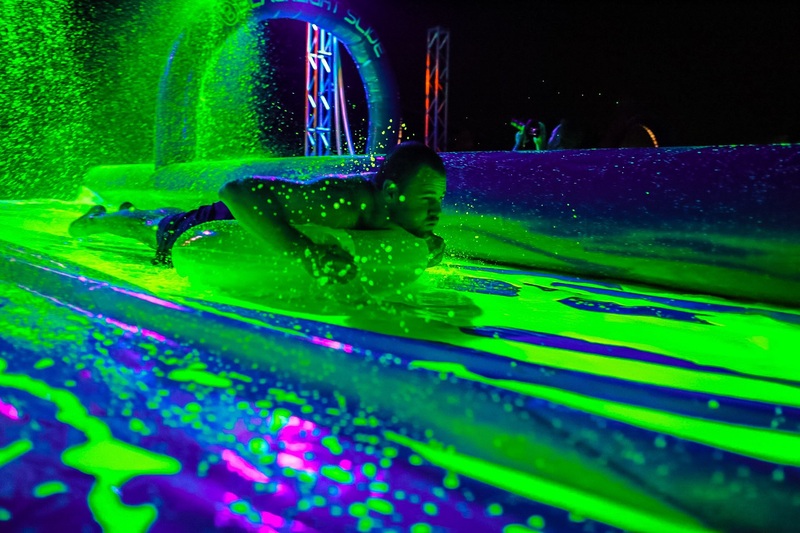 Glowing sliders attend from all over with friends and family for the night of their lives sliding down the Blacklight Slide with neon glow in the dark water running down it; every participant will certainly Get Glowed™! 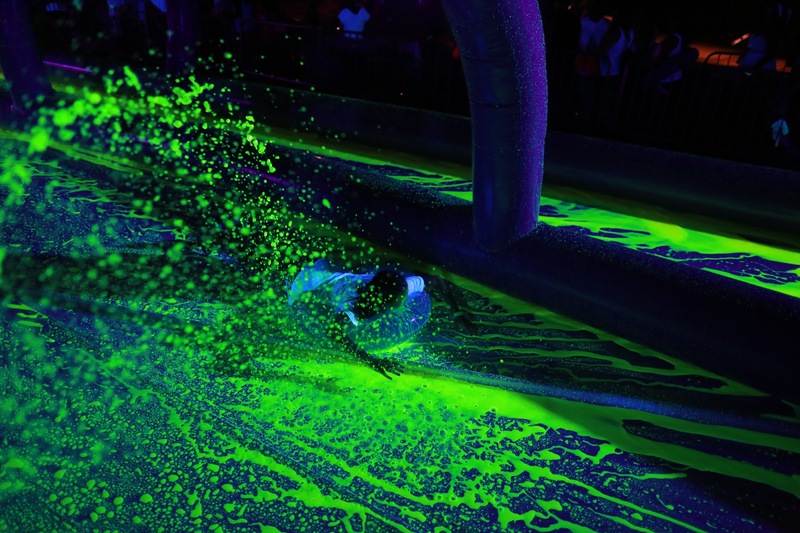 With the best after party in the world and the best music pumping from one of the top DJ’s in the country you will have the time of your life. 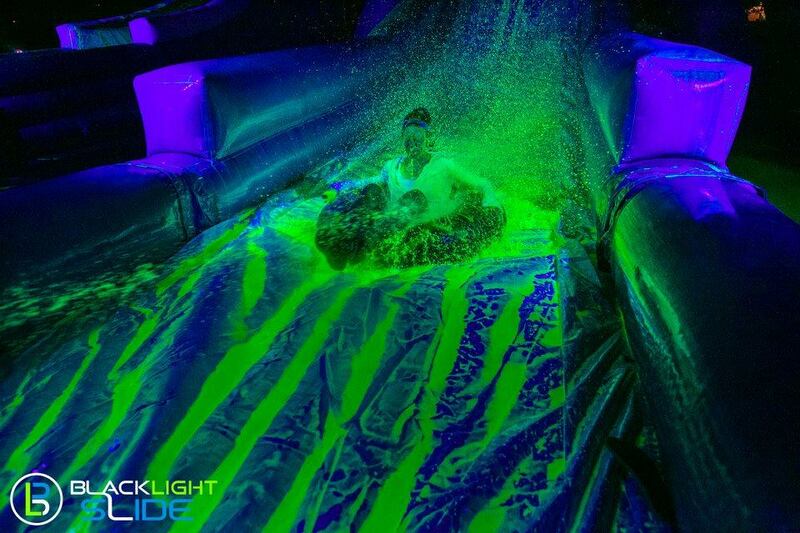 The Blacklight Slide™ will leave you glowing with amazement and waiting for the next one! *Please bring a photo ID to pick up your wristband. There is a $5.00 fee to pick up your wristband on event day. This fee was instituted to encourage people to attend wristband pickup so we can minimize lines and wait times on event day. Yes, we do allow people to pick up wristbands for other people (team member, family, friends). As long as their waiver has been signed online (generally done during registration or downloaded above) you will just need to present their confirmation email. That way, we know you have permission to get your friends’ stuff! 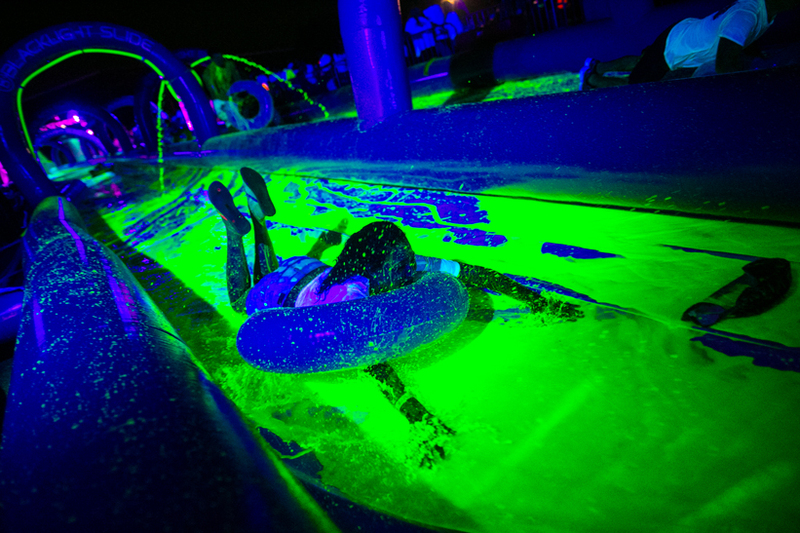 Grab your inner tube for the best sliding around! 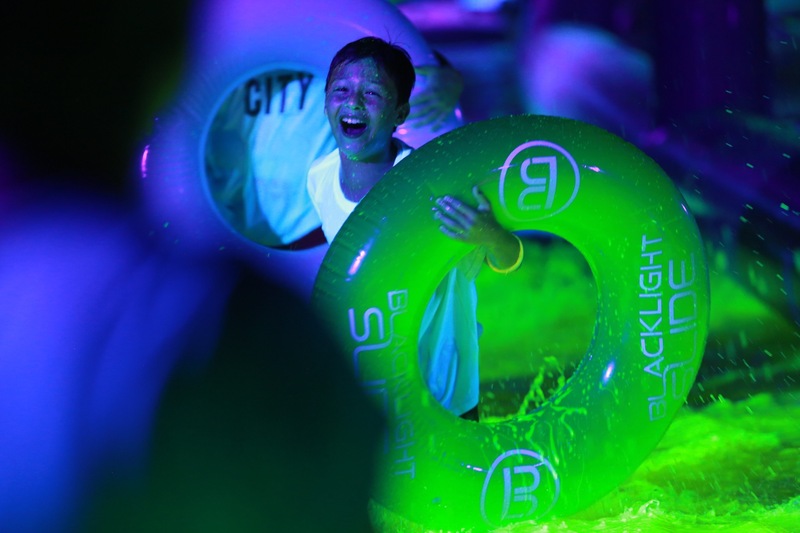 (Max size is a 36-inch inner tube.) Want to glow it up even more? 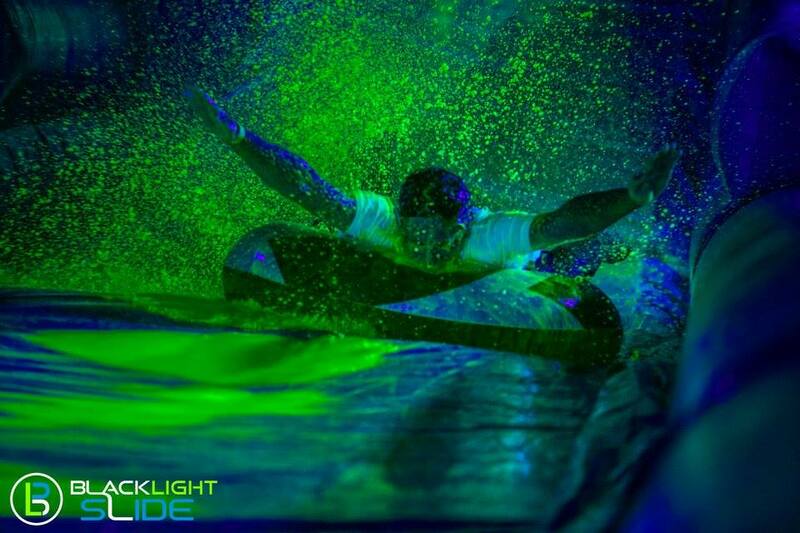 We have Special Edition Blacklight Slide™ inner tubes available for purchase. 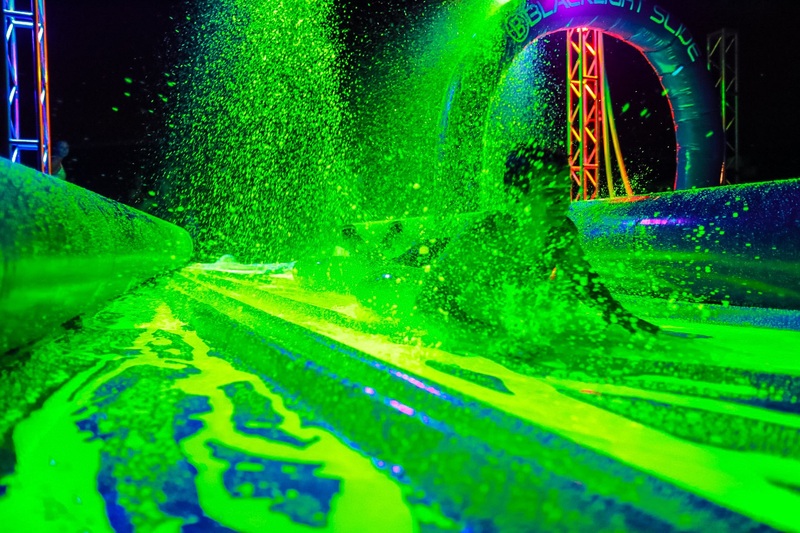 The most important rule: HAVE A BLAST! 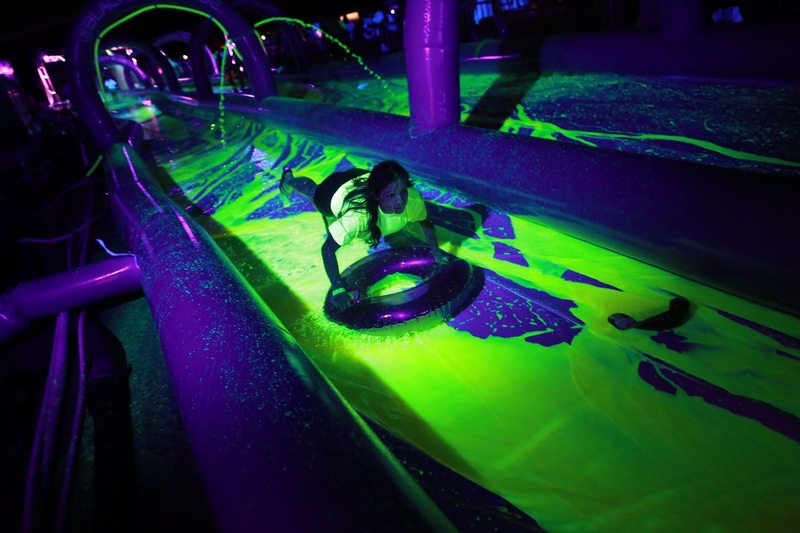 After you go down our Blacklight Slides™, you’ll be covered in UV Neon Glowing water color and ready to party! If you are unable to pick up your wristband and/or registration on the pickup date, you will be able to do so on event day starting at the time listed above. However there is a same day event check in fee of $5 (Cash Only) per registration.